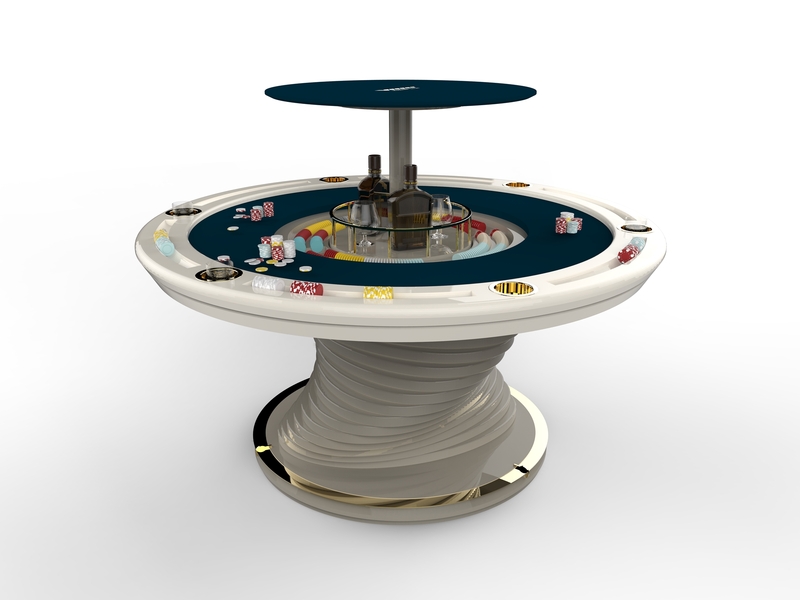 Luxury Poker Table for sale produced by Vismara Design. 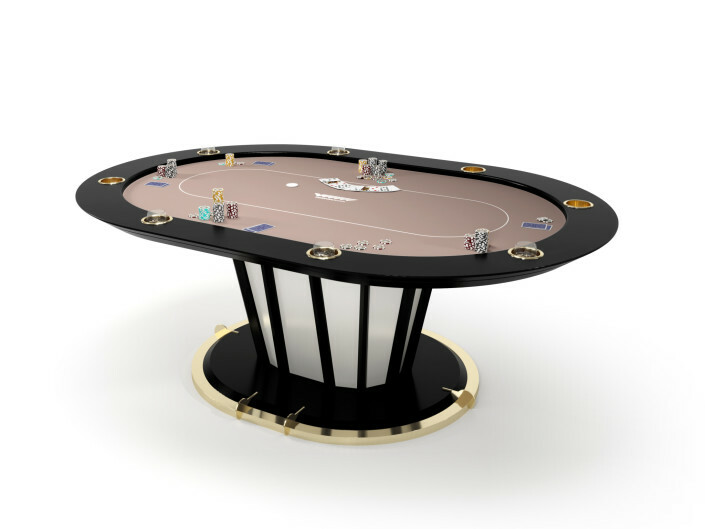 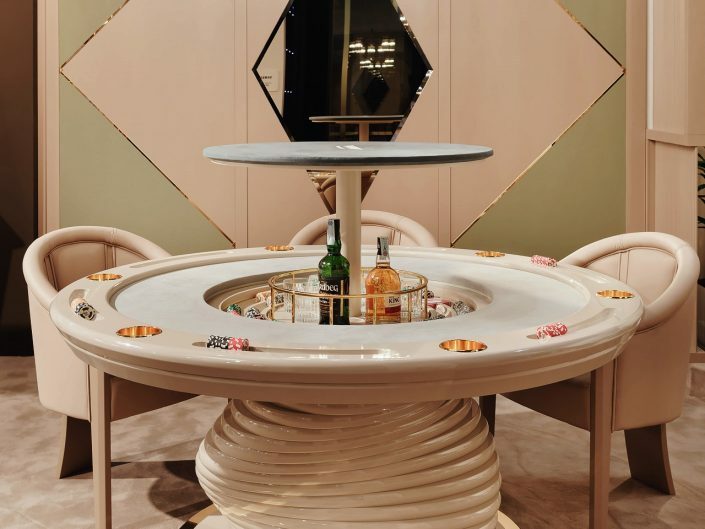 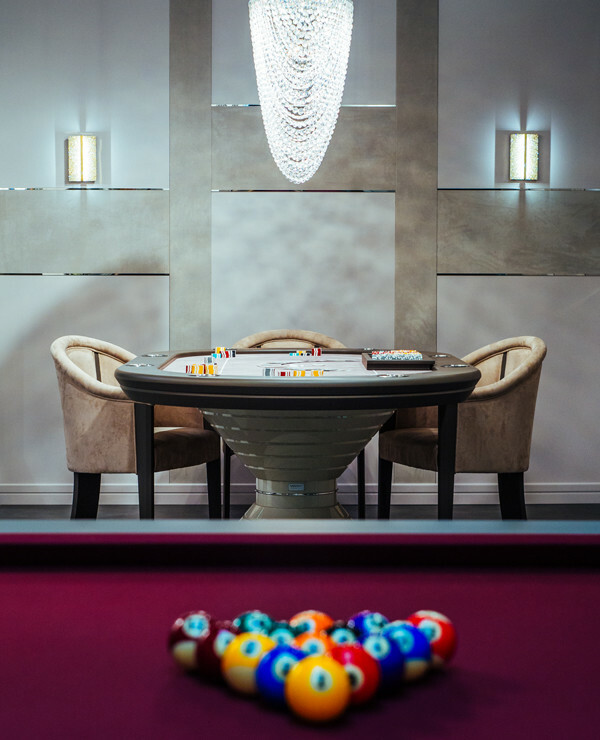 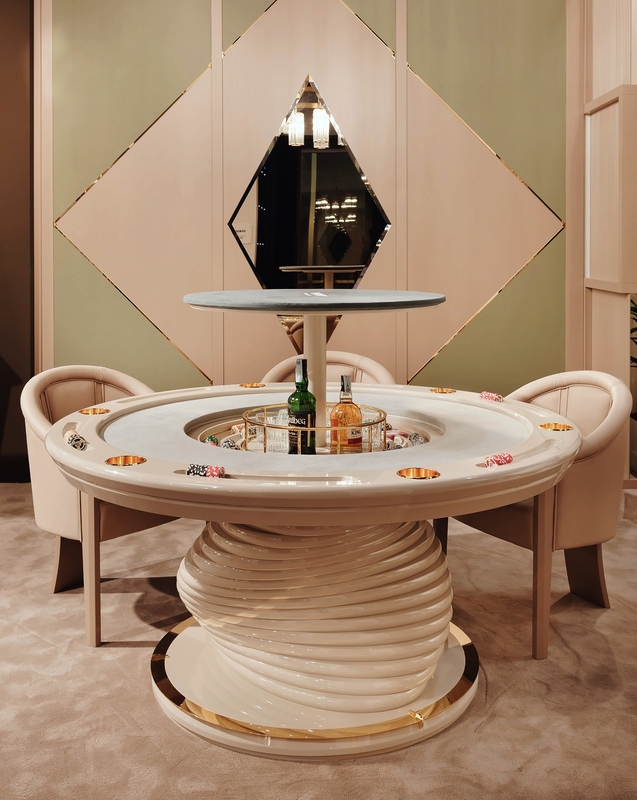 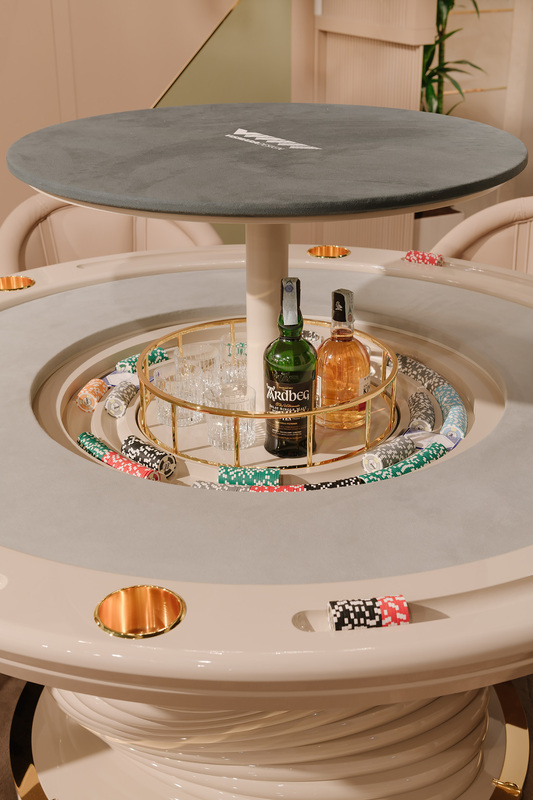 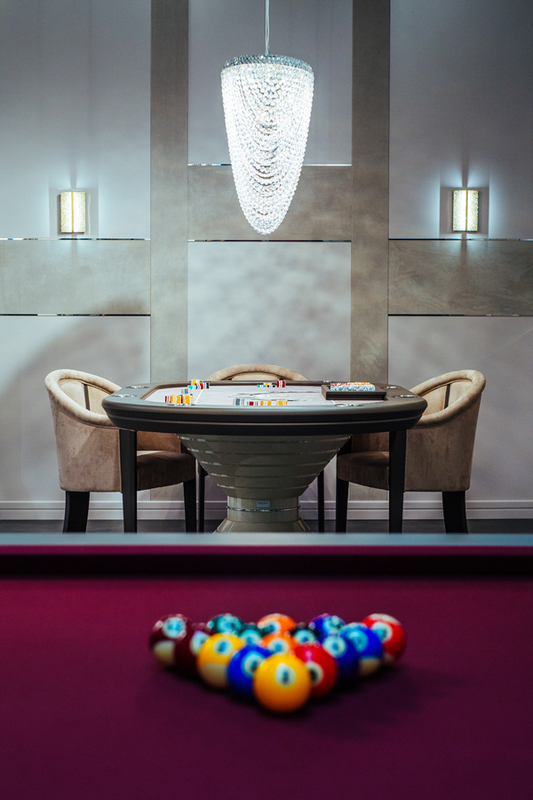 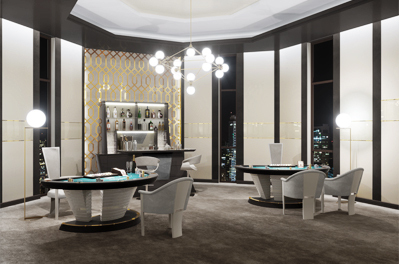 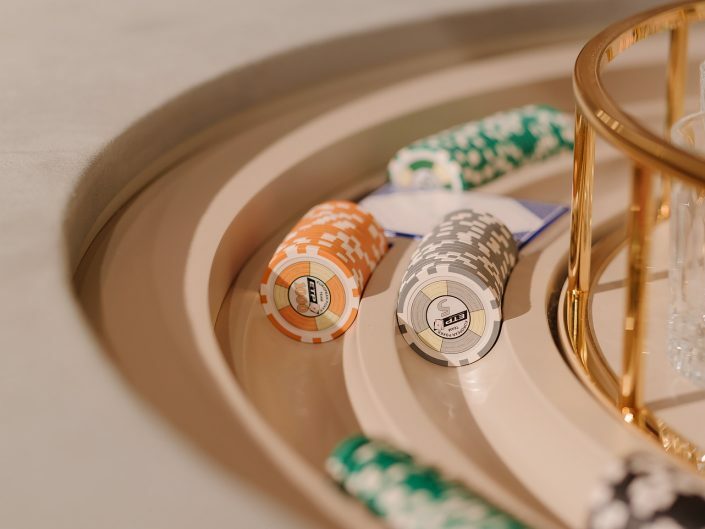 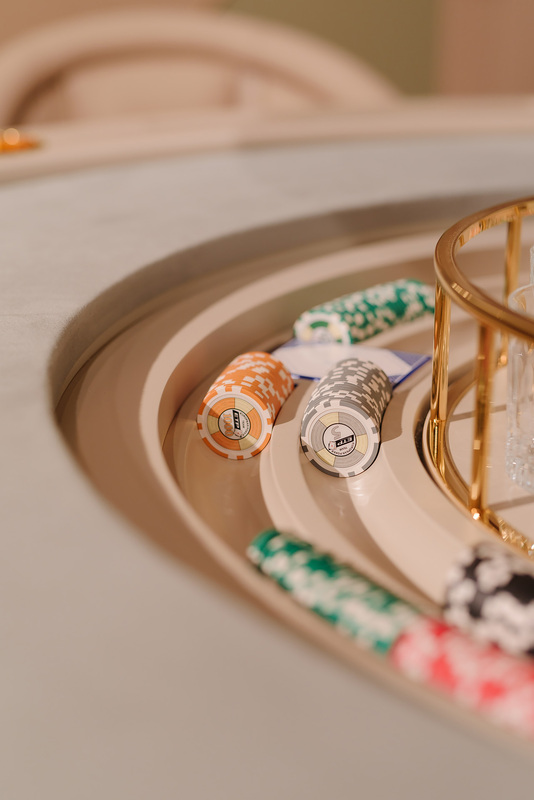 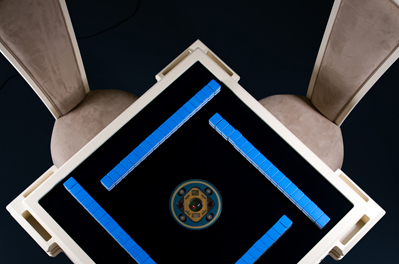 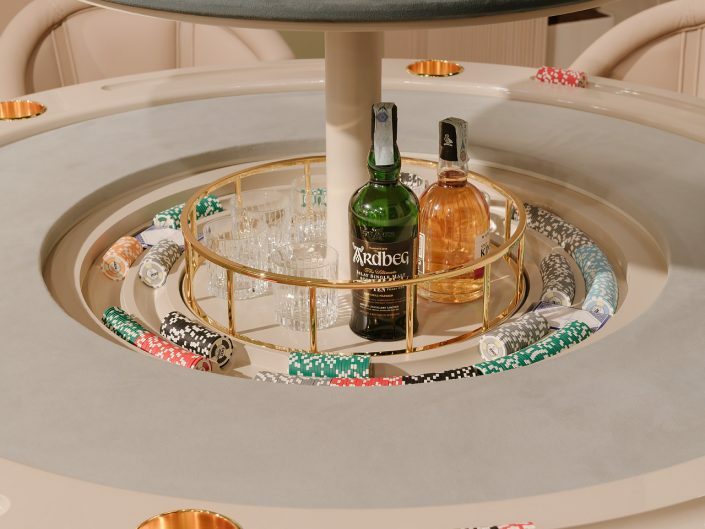 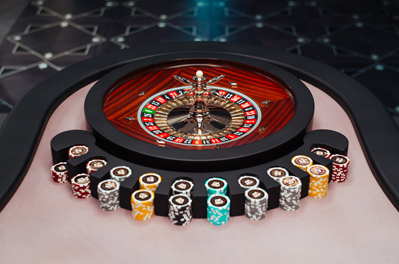 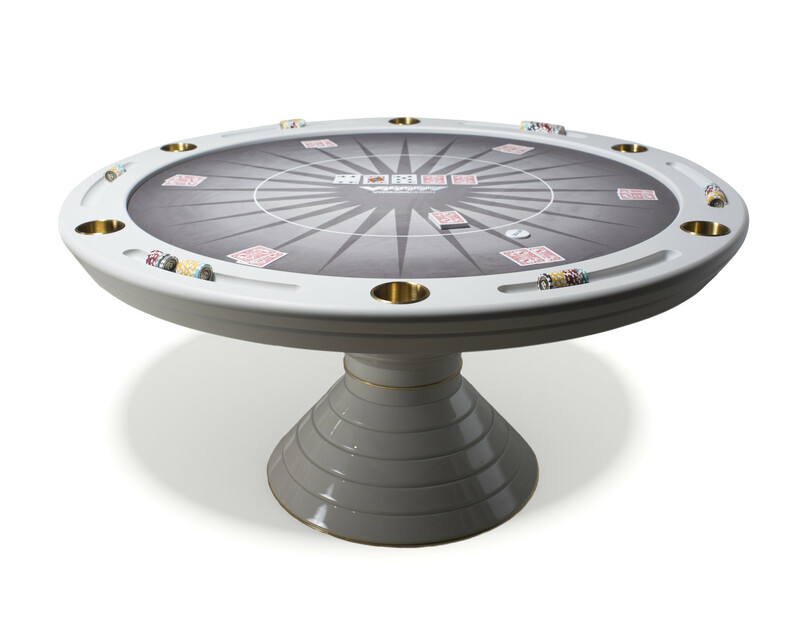 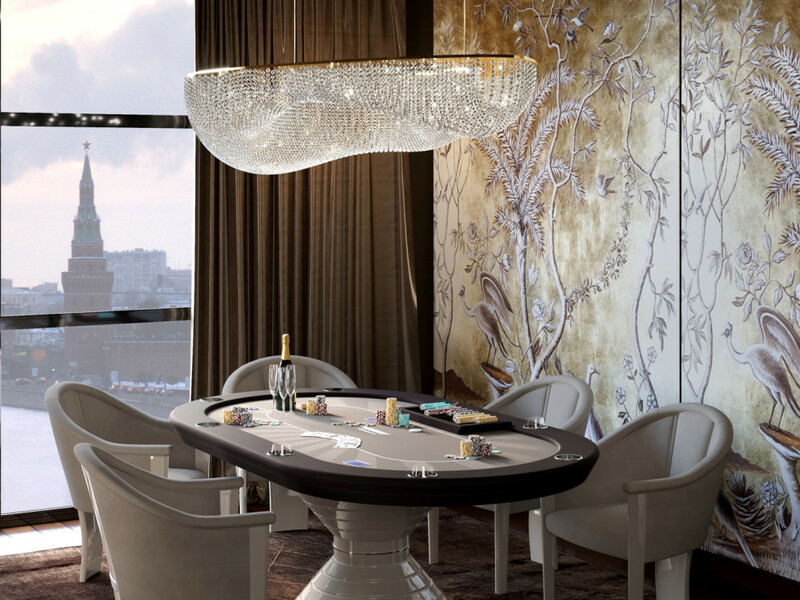 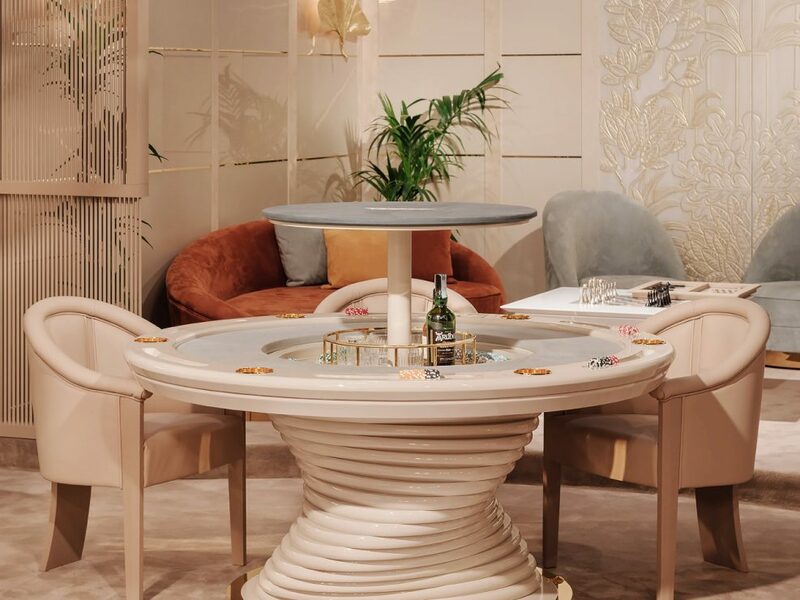 Poker Table is a product that encapsulates Vismara private entertainment point of view. 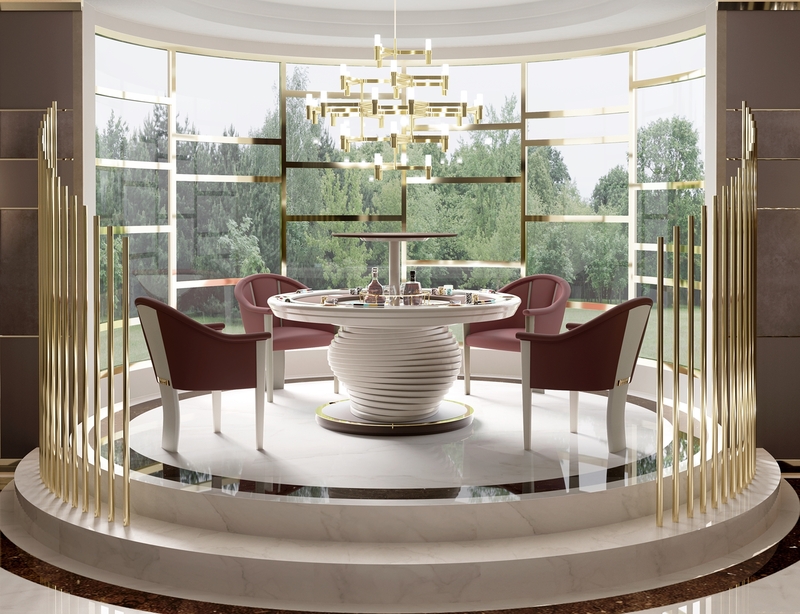 Elegance, strong personality and authenticity are the main features which are contained in the product design. 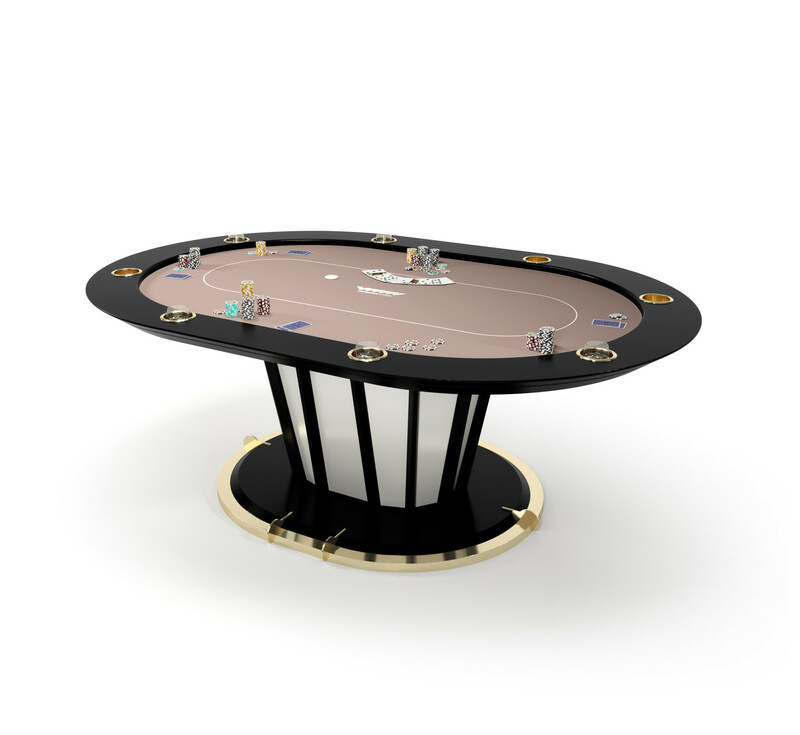 The base is in wood and stainless steel profiles, the table edges are equipped with chips racks and stainless steel cup holders. 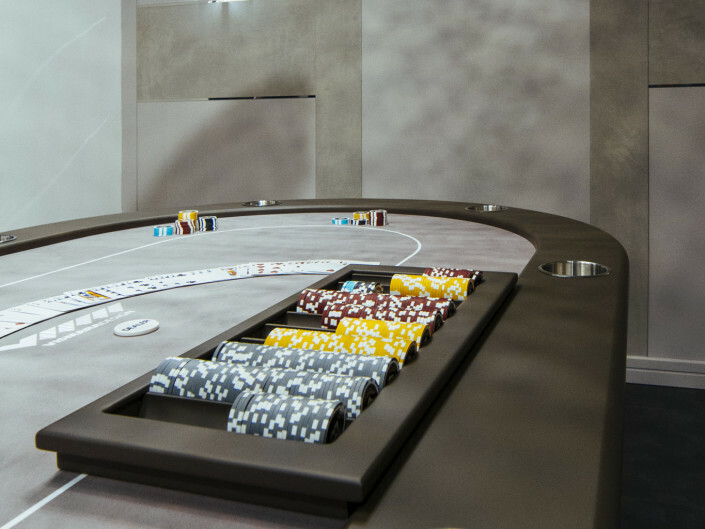 The playing surface is slightly padded and covered by a cloth customizable both in design and in all Pantone colors. 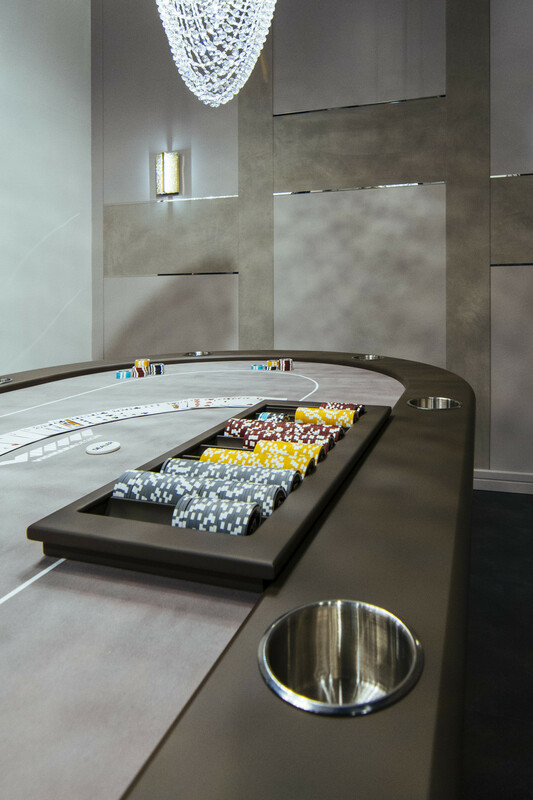 As optional Vismara also provides a 500 chips set and a table chips rack for the delear. 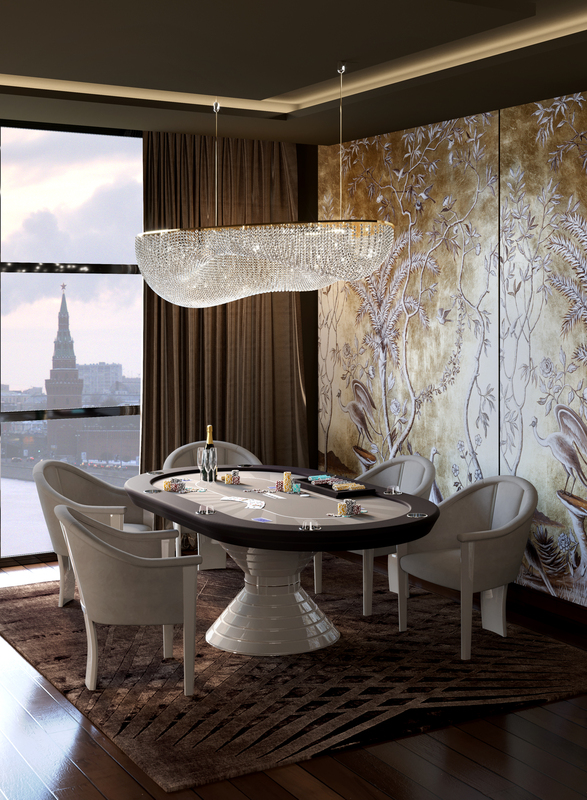 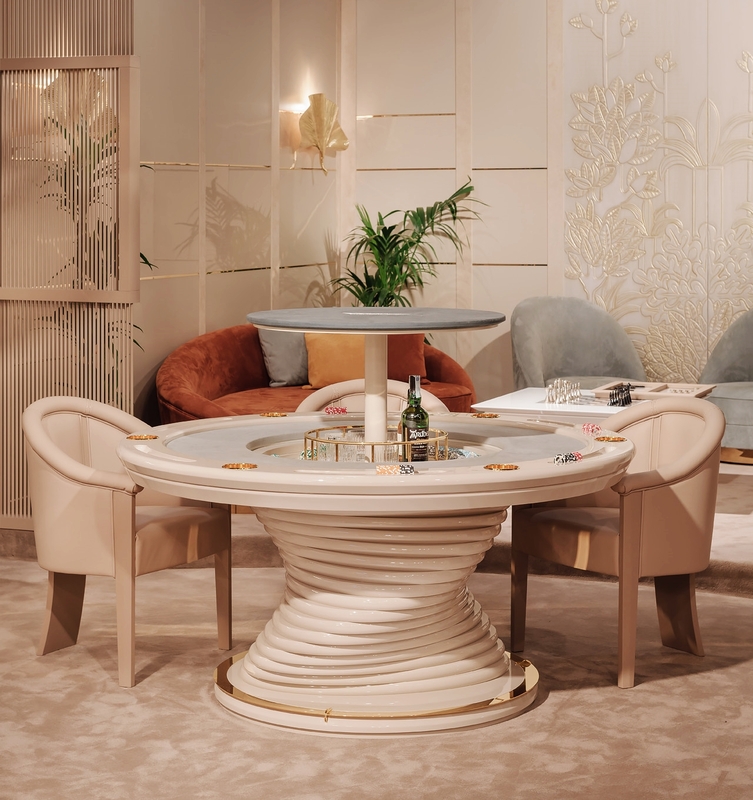 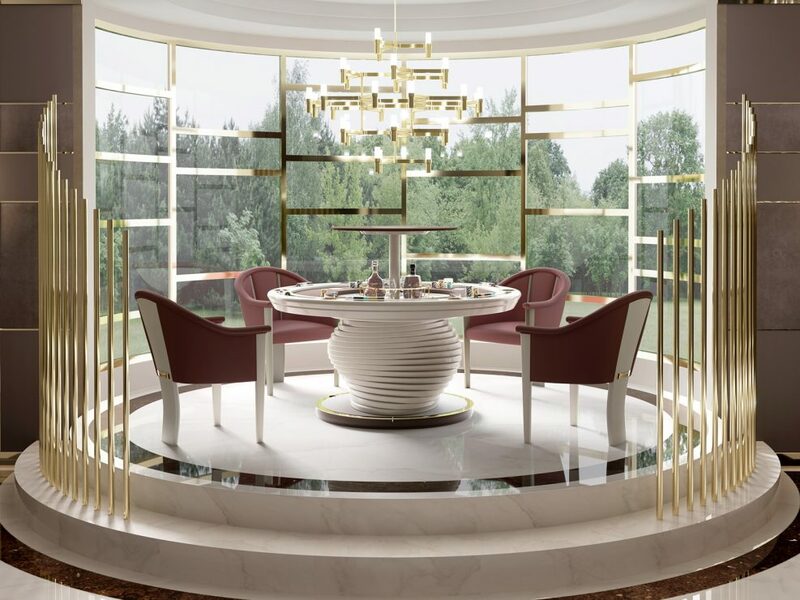 All the elements are harmoniously combined to create a table that is the perfect scenery of unforgettable moments.